Matthew and Marilla Cuthbert are unmarried siblings who live on their ancestral farm, Green Gables, in the quiet town of Avonlea in Prince Edward Island, Canada. Matthew is sixty, and since he is getting too old to handle the farm work on his own, the Cuthberts decide to adopt an orphan boy to help him. This decision shocks the town gossip, Mrs. Rachel Lynde, who does not think Matthew and Marilla fit to raise a child. 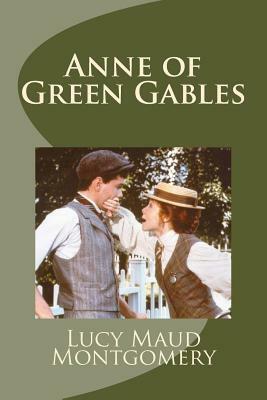 Matthew, who is terrified of women, arrives at the train station and finds a girl orphan instead of a boy; the orphanage sent the eleven-year-old Anne Shirley by mistake. Anne's talkativeness and spirit charm Matthew, who shyly tells Marilla that he wants to keep her. Marilla hesitates at first, but after a trial period, she agrees to let Anne stay on. Anne is a talkative and happy girl despite living an impoverished life as an orphan. Though she lacks social graces and education, she has a rich and sophisticated fantasy life and an optimistic and generous spirit. Because Anne acts according to her instincts and not according to a code of manners, she unintentionally defies expectations of proper ladylike behavior. She attends church for the first time wearing a wreath of wildflowers, for example, and screams at Mrs. Rachel for making fun of her red hair. Anne tries hard to oblige Marilla and follow her rules of social conduct, but she makes many mistakes, using liniment instead of vanilla in a cake, letting a mouse drown in the plum-pudding sauce, and delivering a heartfelt but ridiculous prayer on her first attempt to pray before bed. Sara Levine, "Flower Talk: How Plants Use Color to Communicate"
Mary Calvi, "Dear George, Dear Mary"